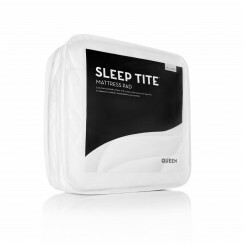 The 400 TC cotton cotton surface and box-stitched quilting add functionality and appeal to the Malouf Sleep Tite Quilt Tite mattress protector. 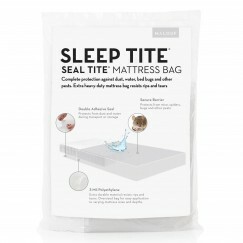 A soft layer of down alternative filling helps to create an air layer for better circulation, breathability and comfort. The laboratory-certified H2Pro® liquid-proof membrane adds a protective barrier against allergens, dust mites, and liquids. 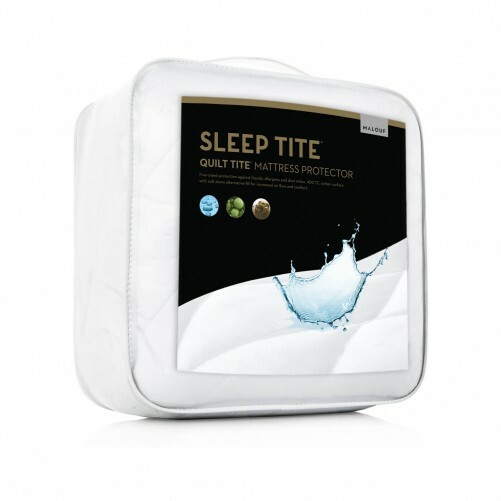 The Universal Fit® design guarantees a secure fit for mattress depths 6″-22″ and gives protection for the top of your mattress.